Material: 316L steel wire of medical application for tip. 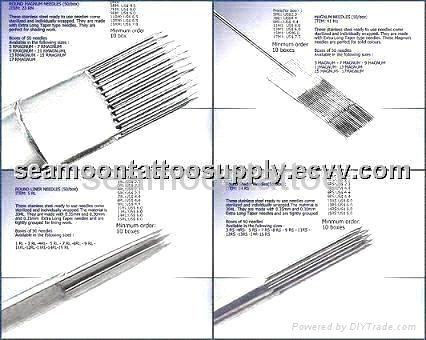 304L steel of medical application for needle bar. Which sizes and the packing, we can according to your request produce it. Each Steriled Pouch has printed the needles type on it, so you never have to guess which tpye needle is in the pouch. Each Steriled Pouch has printed the guarantees the nature date, and you never don' t worry the needle expired.